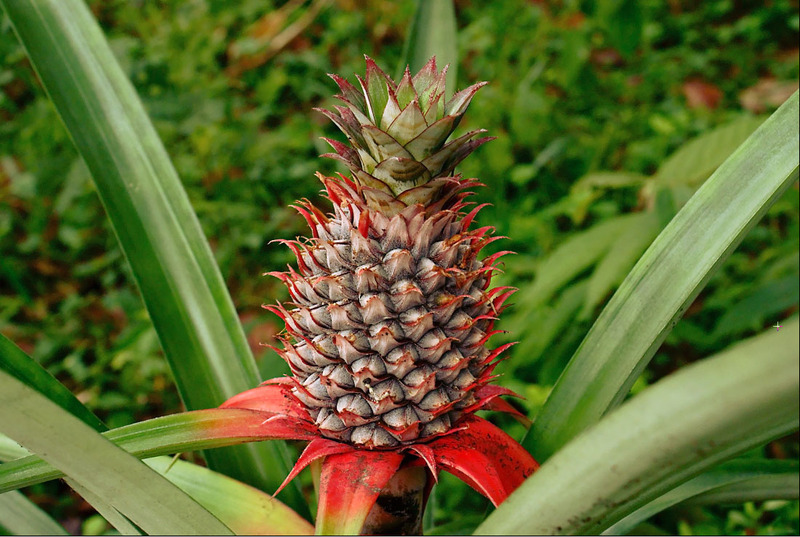 It is a common belief that pineapples grow on trees, however this plant is in fact a herbaceous perennial. It has soft leaves and no steam resembling that of a palm. The pineapple is of the same family as air plants. The fruit only grows after the plant is old enough to flower, which takes 2 or 3 years. The pineapple grows out of the center of the plant and is actually a berry! Chocolate comes from the seeds of the fruit of the Theobroma cacao tree. The seeds are roasted and fermented before they can be used with other products to make chocolate. Vanilla is grown in an orchard like other fruits however it is not grown in many areas of the world. The reason for this is that the bee that can naturally pollinate vanilla is only found in Mexico and Central America. It can be grown elsewhere if it is hand pollinated but vanilla still remains expensive due to this. Asparagus is grown out of the ground, each stalk emerges from the ground separately. It is a perennial plant, which means that it grows back year after year even when you cut it if the conditions are right. If the asparagus is left too long it will flower and get taller growing leaves and berries that are toxic. 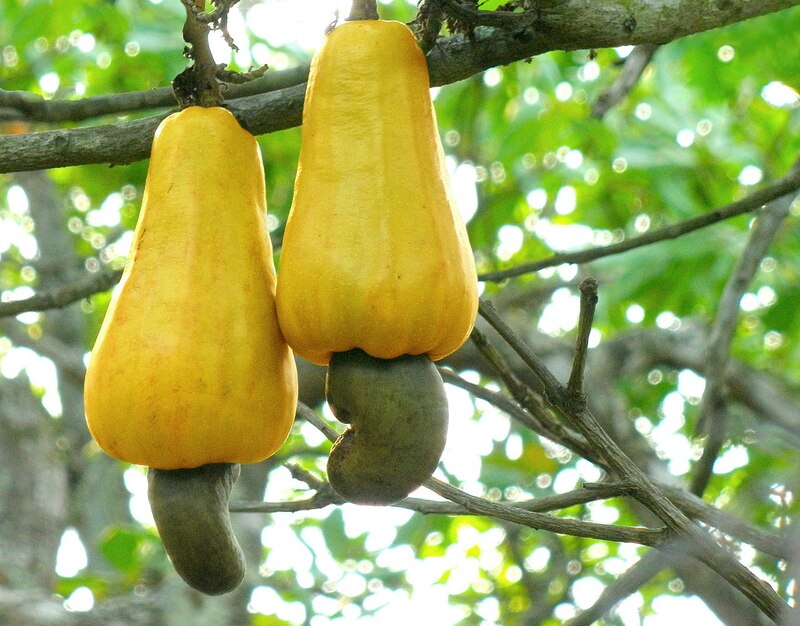 Cashews grow on trees like many other nuts. However the cashew nut is encased in a shell at the base of the cashew fruit which is known as a cashew apple. The apple can be turned into jellies and is also distilled into liquor. Peanuts are in fact legumes like lima and kidney beans. They grow in the ground and are dug out as you can see in this picture. Coffee comes from a seed that is encased in a red coloured cherry fruit and is called the coffee cherry. Mostly people ignore the fruit that comes with the coffee seed but it is able to be brewed into tea. Artichokes are part of the same family as thistles, the part that we eat is the flower before it has bloomed. It will hang in the middle of a cluster of small flowers. Chickpeas are unlike other peas which grow in a pod with several other seeds. These peas do grow in pods however there is only one chickpea within the pod. Capers are similar to artichokes in the fact that they are actually edible flower buds that are picked before their bloom and pickled. Brussel Sprouts are part of the same family as cabbages which is no surprise, but they grow on a fibrous stalk clustered tightly together. It might sound terribly boring, but it’s important to stay abreast of major changes in the insurance that covers your new steel building or other residential building. The Victorian Government has announced the introduction of a Domestic Building Consumer Protection Fund (DBI) to better protect Victorian domestic building consumers. DBI is an insurance of ‘last resort’. It provides cover to a homeowner where the contracted building work is incomplete or defective in cases where the builder is deceased, has disappeared or become insolvent. This means no matter what happens, your building is covered by insurance. Visit VBA for more information about DBI. Dressage is a french word which is interpreted as ‘training’. It is considered widely as the most artistic and elegant of equestrian sports. This sport requires a rider and horse to be in perfect harmony together whilst performing. Dressage riders and horses perform ‘tests’ that consist of a course of movements and are judged on a scale of one to ten on these. Dressage is seen to be the foundation for mostly all equestrian disciplines. Due to the precision required in the movements, the rider and horse need to be balanced and aware down to the most subtle aids. There are ten different levels of dressage. These range from very basic skills up the highest levels which require literal perfection and years of training to master. Each level until the sixth has three tests of which the rider can choose. For the first four levels of dressage there is only one judge for tests. Judges score movements on a scale of one up to ten. Competitors and their horses are scored on collective marks and the score for each movement is added together to come up with a final number of points. After this the number of points is divided by the highest number of points achievable and multiplied by ten to create a final percentage score. Dressage riders are required to wear formal clothing in tests. The dress code for all tests up to the fourth level is a short riding coat of conservative colour with a tie, choker, stock tie or integrated stand-up collar, light coloured breeches, boots, and protective headgear. There are more specific rules relating to certain levels. Generally expensive breeds of warmbloods are used for dressage. Warmbloods are extremely talented horses with nearly all breeds having foundations in European countries. Whist these horses are beautiful and athletic you do not have to have a warmblood horse if you wish to compete in dressage.